More and more people are taking their business online. New bloggers or offline business, everyone is going online. In an attempt to run a profitable blog, hosting becomes one of the important factors. If you don’t do it the right way, things may not turn out profitable. Regardless of what you do and how successfully you implement different strategies, if you fail to implement the best blog hosting strategies, you can’t materialize your dream of owning a profitable blog. From my personal experience, I’ve realized that it is usual to commit some common hosting mistakes at some stage. If you want to avoid these mistakes, then this post is really going to help you. I’ve been a victim of this misunderstanding for years when I started out. You frequently come across various hosting sites that promise the provision of unlimited domains. In addition, they also highlight (in big letters) feature of the unlimited database and unlimited storage. Here comes the role of Terms of Service, most of us fail to even read these terms. If you go through these terms, you’ll know the reality. These terms clearly state that abuse of the unlimited storage/database/hosting can lead to the termination of the service. The provision of the daily backups is an important feature of the promising hosting services. These backups are important in the case of the re-installation of the settings. Abuse of these backups can restrict your access to the daily backups. If you try to abuse the unlimited domain hosting feature, your blog may suffer from throttling, which signifies the slowing down of the servers. Excessive domains occupy more bandwidth and ultimately lead to such issues. At times, these abuses may lead to either temporary or permanent suspension of your account. This is the last thing you need as a blogger. If your blog is growing at a faster pace, bringing in more visitors, and you want to keep it working well, the best thing is to opt for better options. 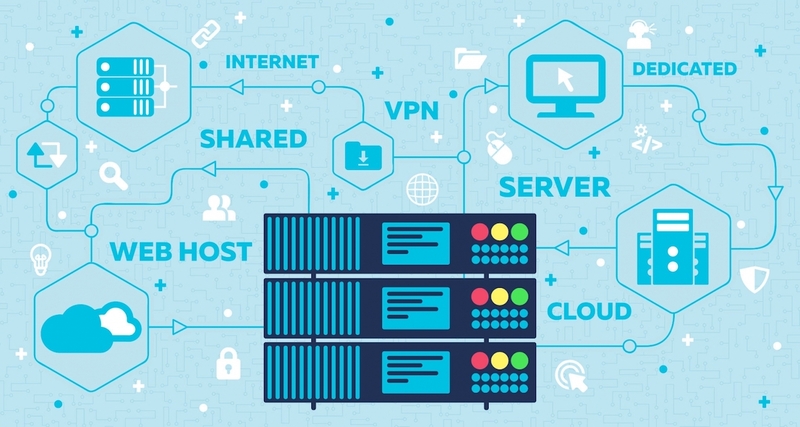 A Virtual Private Server is one good option. Otherwise, you can opt for dedicated hosting. Well, the beginning is as important as the rest of the phases. If your blog fails to impress at the beginning, how can it reach a higher level? Sometimes, for one reason or the other, we tend to ignore simple things. Free hosting doesn’t allow you to own your blog. What can you expect after this? This is the major reason why such blogs fail to impress the visitors. You can only expect temporary pleasure, but can’t even think about converting it into a profitable blog. Free hosting lacks promising control. You don’t have the option to access unlimited themes, certain settings are restricted, and even the backend doesn’t serve properly. For a profitable blog, SEO is one of the most significant considerations. The truth is, Google doesn’t entertain free-hosted blogs properly. You can’t expect better ranking if you opt for free-hosting. It means that you are straightaway compromising SEO. The good news is that you can shift your blog to paid-hosting at any given instance. You’ll definitely see everything getting on the right track. There are some highly reliable blog hosting sites offering impressive services, but they lack an important feature that is 24/7 Live Support. Most of the beginners don’t take it as a vital aspect, neither do the Gurus emphasize on this point. Blog hosting isn’t as simple as it looks from a distance. The truth is, you frequently face problems and things become confusing. This is the time when you start feeling the importance of a reliable Live Support. Yes, there are forums where you can post questions to find the solution, but it takes time. You can’t afford to delay things in the meanwhile. 24/7 Live Support helps you to quickly resolve the issues. The professional experts provide you with timely assistance and on top of that, they serve you with the precise solution. When you visit the forums, you may come across multiple possible solutions. It makes things complex. Bluehost (read my full review), in addition to many other promising features, serves the clients with 24/7 Live Support. The support staff is incredibly helpful and enables you to address the issues as quickly and conveniently as possible. Whether it is midnight, early in the morning, long summer noon, you don’t have to wait for the solution. 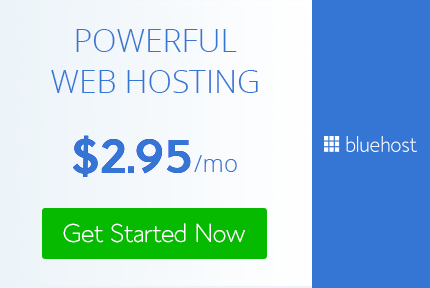 Bluehost support staff helps –by taking care of the technical issues – to continue blogging with more confidence. If you opt for a blog hosting service that doesn’t offer Live Support, you must get ready to face stressful and irritating moments. Things, at times, annoy you to the extent that you really want to quit for a couple of days. It has a highly negative psychological impact. Perfection is the key to profitable blogging. If you your blog page faces thematic and plugging issues every now and then, you can’t get the results you are looking for. Often, the beginners tend to blindly follow the Gurus. The selection of the blog hosting platform is often the result of a Guru’s suggestion. I’ll ask you to spend some time because it’s your blog and it’s your dream to make it a profitable blog. Nobody cares, believe me, even the Gurus don’t care whether your blog makes money or not. The biggest mistake you can commit is failing to find time to review the options for yourself. You need to closely monitor the pros and cons of the available options. Bloggers have this tendency of being prejudiced. I know not what the exact reason is, but it is natural and sometimes people don’t even realize that they are being biased. In the case of paid reviews, you can smell the rat. It is obvious that you can’t rely on a paid. Such reviews often feature exaggeration. The best way is to search for third-party reviews. In addition, never forget to visit the websites of the blog hosts, compare the prices for yourself, check the features and offers, and then analyze what’s good for you. It may become a hectic activity as it involves calculations, comparisons, and statistics, but it leads to a wiser and more reasonable decision in the end. You can find unbiased reviews of hosting sites like Bluehost, SiteGround, WPX Hosting, Inmotion hosting on this site. I made this mistake a few years back! I know a number of my friends who’ve done the same and suffered from unfortunate consequences. If one of your blogs starts making money, you need to avoid experimenting with this blog. This is why it is important to have multiple blogs so that you can use some of them as an experimental tool. A few years ago, I made a huge mistake of opting for a single hosting package for multiple blogs. I look back at it as a highly unprofessional approach. It didn’t do any good, rather made me suffer from crowding, cluttering and lack or management. Never take things for granted. As soon as your blog starts attracting traffic and getting subscriptions, you need to treat is as a beloved pet. Look for the protective measures. Opt for the blog’s own host to ensure exceptional up-time and security. Keep experimenting with the blogs that are on different hosts. Experimenting is important and you learn more about the changing conditions, evolving techniques, and advancements that determine the rules of the game. You can simply sit and relax because blogging is consistently evolving at a rapid pace. You only learn by doing! Otherwise, you just become a follower. Profitable blogging requires a focused attitude. You need to show professionalism. You don’t take it as a trial adventure. The major mistake that most of us commit is to allow things to happen on their own in the beginning. Remember, branding is important for profitable blogging. If you fail to do it right from the beginning, your blog will probably never attain the next level. It hurts most of the new bloggers. Don’t take beginning as the honeymoon period. The competition is tough and there is no room for blunders. If the first impression fails to convince, things will become more and more difficult. If you’re making any of these mistakes you need to address them as soon as possible.